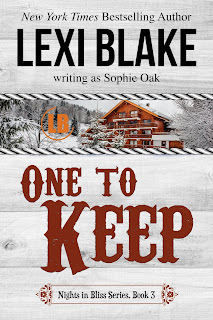 One to Keep is the third book in Lexi Blake's Nights in Bliss, Colorado series and we've seen the push and pull between Stefan and Jen in previous books so I was really looking forward to their story. We know that Stef keeps Jen at a distance because of their age difference but I could never quite understand why that was such a huge sticking point for him before reading this book. I'm not going to go into details in my review but let's just say that I'm able to understand him so much better now. I still found it totally infuriating when he'd pull Jen close only to push her away again any time it seemed like she might have broken through his barriers but I could understand why he did it and why Jen forgave him not just once but several times. This is one of those stories where you know that they'll be perfect together but one of the characters is running scared and I enjoyed seeing Jen break through Stef's barriers and making him realise that what they had was worth fighting for. Stef has a constant need to be in control but as much as Jen enjoys him taking over in the bedroom she is happy to stand up for herself in other situations and she doesn't let him mess her around without pushing back at him. I really enjoyed going back to Bliss and catching up with the previous characters, it's great to see how happy they all are in their various relationships and I was really pleased that Jen has supportive friends for when Stef was acting like an idiot. I'm enjoying the Texas Sirens books (which are set in the same world with some characters appearing in both series) but it doesn't have as many quirky and fun side characters as this series does and I miss them. I loved the addition of Alexei and I'm really happy to know he's getting a book later in the series too. 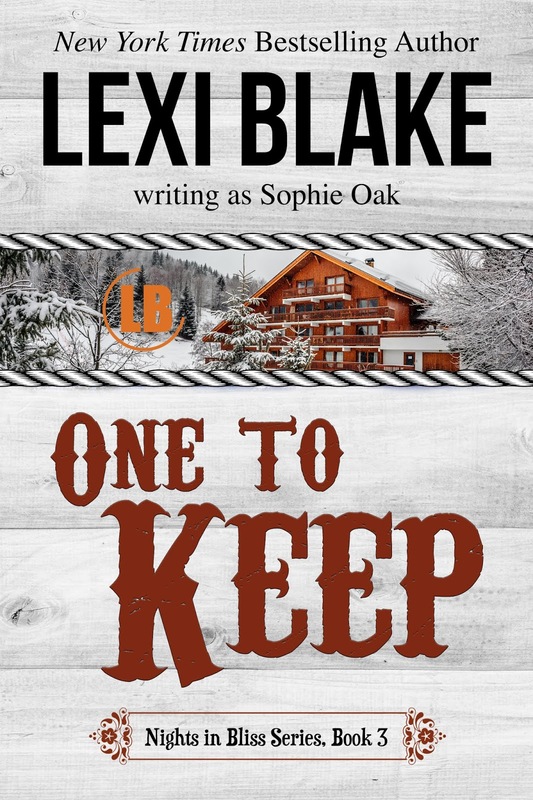 This series has a little of everything - sweet romance, plenty of steam, fun characters and strong friendships with a little suspense and drama thrown in - and I can't wait for the next book!